Shortly after the event a commemorative medallion was struck by the Germans. Believed to have originated in Munich the medal was cast in iron and was 2.25 inches in diameter and weighed 1.5 ounces. The designer was Karl Goetz, creator of many medallions, and the initials K.G. 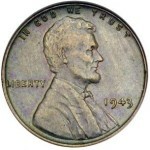 are clearly visible on the obverse. 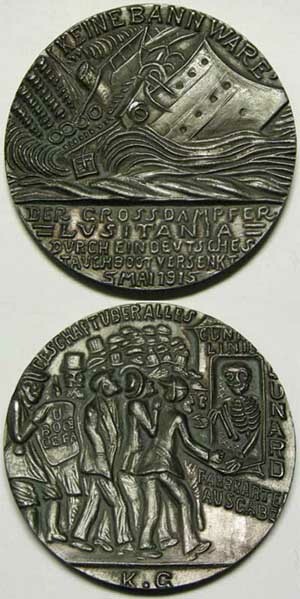 On the obverse, under the inscription “No contraband” (Keine Bannware), there is a representation of the Lusitania sinking. The outline of the liner has been altered to resemble a warship. The designer has also put and aeroplanes, which (as was certified by United States Government officials after inspection) the Lusitania did not carry, but has conveniently omitted to put in the women and children who were on board. On the reverse, under the inscription “Business above all” (Geschaft uber alles), a smiling skeleton at the New York booking office of the Cunard Line is depicted. A line of waiting potential passengers and victims refuse to attend to the warning against submarines, given by a German figure in the background. The figure, presumably the German Ambassador, gazes reprovingly on the whole proceedings. There are, however, certain anomalies which have always caused considerable speculation. The arrogant manner in which the victory is proclaimed in the inscription. The liner Lusitania, sunk by German submarine 5th May, 1915, provides perhaps the most obvious example – as in actual fact the sinking occurred on 7 May. The discrepancy in date may have been a genuine error but it was interpreted as a being a clear indication that the sinking was pre-planned – and not just one of the fortunes of war. The propagandists made the most of it. Just how many of the German originals of the medal were struck is not clear but it is doubtful whether these exceeded more than a few hundred. The message they conveyed had a boomerang effect and the British authorities, in agreeing to the production of 250,000 copies to be sold in aid of St. Dunstan, saw in it a damning commentary on the ruthlessness of the German war machine. This point was emphasised in the wording on the box in which the British copies were issued. There could be no doubt about the callousness of the enemy. Many of the British copies are readily found today. As for the German version these are rarer and more valuable. There are several small differences between the two types. The most obvious being in the spelling of the word “May” in the date. On the German version this is spelt “Mai”. It has also been suggested that there may in fact be a third type in existence, also German, on which the correct date of the sinking, 7 May, is shown. The way in which one piece of propaganda served two warring nations is ironical. 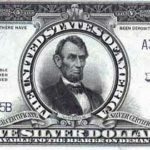 [The majority of this information was taken from an article from Coin Monthly, April 1968, by P.J. Leighton ]. Mine is the German one that spells May as “Mai”. Can you tell me what it might be worth? Thank you so very much for your assistance. In February, 1915, the German government announced an unrestricted warfare campaign. This meant that any ship taking goods to Allied countries was in danger of being attacked. This broke international agreements that stated commanders who suspected that a non-military vessel was carrying war materials, had to stop and search it, rather than do anything that would endanger the lives of the occupants. The Lusitania, was at 32,000 tons, the largest passenger vessel on transatlantic service, left New York harbour for Liverpool on 1st May, 1915. It was 750 ft long, weighed 32,500 tons and was capable of 26 knots. On this journey the ship carried 1,257 passengers and 650 crew. At 1.20pm on 7th May 1915, the U-20, only ten miles from the coast of Ireland, surfaced to recharge her batteries. Soon afterwards Captain Schwieger, the commander of the German U-Boat, observed the Lusitania in the distance. Schwieger gave the order to advance on the liner. The U20 had been at sea for seven days and had already sunk two liners and only had two torpedoes left. He fired the first one from a distance of 700 metres. Watching through his periscope it soon became clear that the Lusitania was going down and so he decided against using his second torpedo. After a second, larger explosion, the Lusitania rolled over and sank in eighteen minutes. A total of 1,198 people died (785 passengers and 413 crew). Those killed included 128 US citizens. The sinking of the Lusitania by a German U-Boat on May 7, 1915 had a profound impact on public opinion. The German government apologized for the incident, but claimed its U-boat only fired one torpedo and the second explosion was a result of a secret cargo of heavy munitions on the ship. If this was true, Britain was guilty of breaking the rules of warfare by using a civilian ship to carry ammunition. British authorities rejected this charge and claimed that the second explosion was caused by coal dust igniting in the ship’s almost empty bunkers. This is Goetz’ first obverse which bore the incorrect date of 5 MAI (the German spelling), an error he later attributed to an flawed newspaper account. And that error is what made this such a controversial piece. The British weren’t the only ones with strong feelings regarding the German ethics involved with the tragedy. 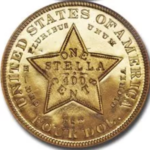 Among a hoard of others were two men in the United States, Gustav Sandstrom and Clarence Mahood of Warren County, Pennsylvania. 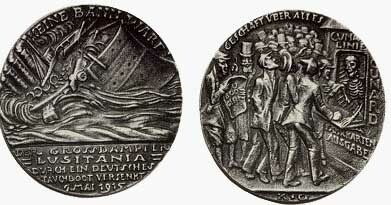 Sandstrom and Mahood created their own copy of the medal (image to left) and sold it along with their own version of the box and propaganda leaflet similar to the British. With several obvious differences in appearance, they sold along with the box and leaflet for fifty cents apiece, three for a dollar, or a dozen for three dollars. Today these pieces are fairly scarce and command a nice premium among knowledgeable collectors over the common British copies. The Sandstrom and Mahood pieces are easily distinguished by the style of lettering and die engraving, and most obviously by the rather goofy grinning pumpkin head of a skeleton. You need to determine which version you have, the original Goetz casting, the British or the Pennsylvania replicas. You can authenticate your piece at one of the Grading Services. See the CoinSite Links Page for information. 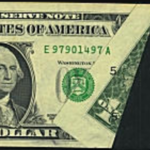 Value depends on origin, variety (May 5 or May 7) and grade (state of preservation). Approximate range: $15 – $500+. 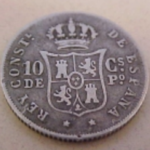 Do portrait 8 reales have grooved edges?How fast will the State quarters gain in value?